In my early days as a reviewer, I was generous and celebratory of most of the theatre I was seeing as it felt impolite to be critical. What I quickly learnt was that in order to become a better reviewer it was necessary to hold back a little so that it was more meaningful when I gave high praise. As a result, I dropped my bad habit of using too many superlatives and became a much more honest (and hopefully better) writer. 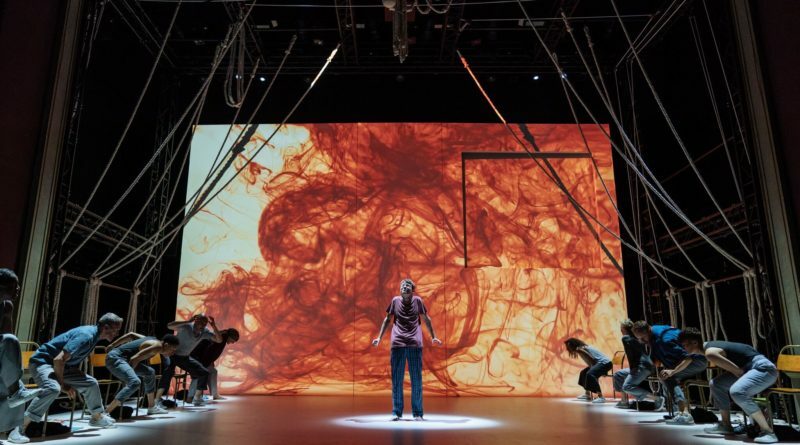 In the case of A Monster Calls which I saw at the Bristol Old Vic however, every last superlative I am about to use in this review of the show is so well deserved. A Monster Calls is based on the gothic graphic novel for young adults by Patrick Ness, although he ended up with the idea for the story from Siobhan Dowd a fellow author who was unable to bring it to life after she lost her battle with breast cancer. Brought to the Bristol Old Vic stage in the capable hands of Sally Cookson, I had high hopes for the show as she was also responsible for directing Jane Ayre, which is one of the best things I have seen here. Thirteen year old Conor is battling with many demons, some imagined and some brutally real. By day, Conor is dealing with the terrible realities of his Mum’s cancer diagnosis, unable to do anything as she gets weaker and more sick. His Dad now lives in America, his Grandma is interfering and he is also being badly bullied at school. By night there is no respite from his troubles as he is tortured by horrific nightmares. On waking from another night of terrible dreams, Conor is visited by an ancient monster in the shape of the old yew tree, a constant presence that he has looked at from his window since he was a small boy. The monster will tell him three tales, and warns Conor that when the stories have been told, he must tell his own story. It must be a true story, or the monster promises to destroy him. As Conor struggles to make sense of his mothers illness and contain his emotions, we wonder whether Conor will even make it to the last tale before he destroys himself, as his world spirals out of control. 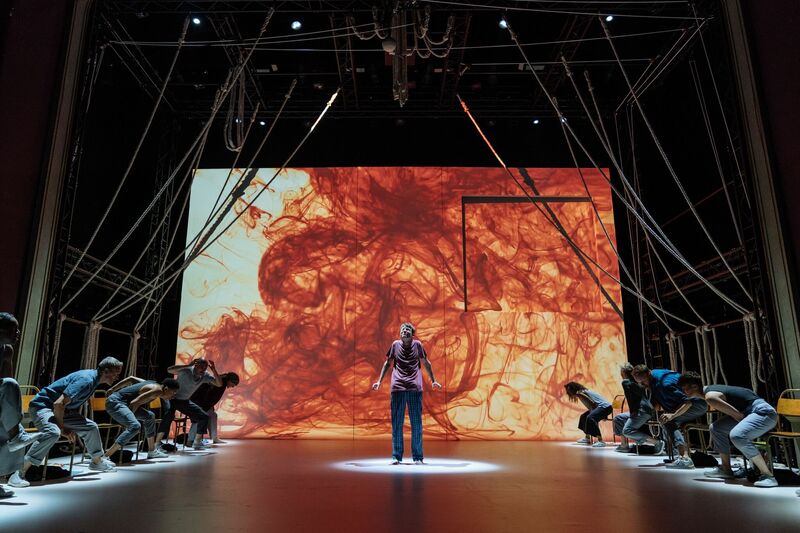 OK, here is the first superlative; I am going to stick my neck out and say that A Monster Calls is the best thing I have ever seen at the Bristol Old Vic, and I am lucky enough to have seen many shows here. Everything about this show is perfection, from the brilliant cast to the atmospheric live music that manages to be an absolutely integral part of the overall feel of the piece. The way that the show manages to be a seamless juxtaposition of the ordinary with the extraordinary is testament to the wonderful writing of Patrick Ness and equally the exceptional directorial talent of Sally Cookson. All the ensemble deserve praise, as they were equally responsible for the incredible look and feel of this brilliant piece. The representation of the yew tree was stunning and so clever, managing to be both complex yet simple enough for the audience to bring their own imaginations into play. Despite the strength of all of the cast, the standout performance for me was from Stuart Goodwin, who managed to be both threatening as the monster with brilliantly gymnastic moves, yet subtle and father like to Conor when the story required it. The story is captivating, but it also just all looked so bloody beautiful and it was hard not to feel blown away. Maybe I am biased as this piece affected me so deeply. I empathised almost painfully with Conor, the guilt and difficult feelings his mothers illness throws up for him, as I experienced such similar feelings with the death of my beloved but very flawed Dad. The emotional impact of the piece left me absolutely reeling, and I know I was not the only person in the auditorium who had puffy, red eyes for a long time after the show ended due to the tears that the tale provoked. The first thing I did when the lights went up was to exchange a heartfelt hug with my friend who had accompanied me to the show, and I saw many others in the audience doing the same thing with their loved ones. A Monster Calls is a heartbreakingly beautiful reflection on grief, love and the often painful truths that are experienced, but also left me feeling hopeful and wanting to engage with all the people I love in my life. I have waxed lyrical about this show, and I am very aware about that as it resonated with me so strongly and moved me deeply. Two things which are an undeniable reflection on how good A Monster Calls are though are the standing ovation it received at the end (a rarity at the Bristol Old Vic) and the fact that I have booked two tickets to go and see it again with my husband who supported me throughout the loss of my Dad. I think it may well be as cathartic for him as it was for me. If you only see one piece of theatre this year, make it this show, its on until Saturday 16th June.